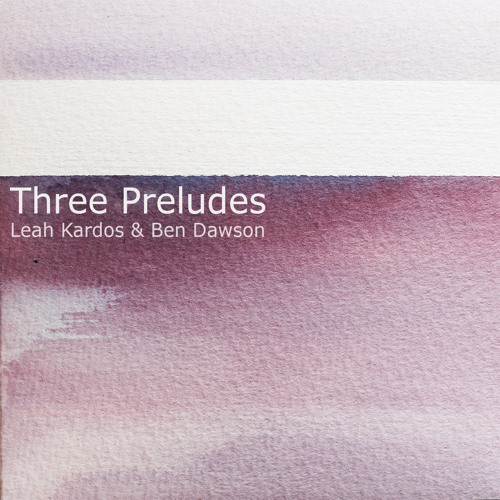 The Three Preludes were written for pianist Ben Dawson some time between December 2011 and March 2012, and were concieved as an experiment in ‘people processes’, focussing on music’s changing states: from score to performance to recording to remix. From capturing the initial sight-read with all it's accidents and coverups to collecting ambient recordings of rehearsals, peppering the score with physical challenges and multiple interpretative options - the extra musical material created off the back of these preludes was used to inform the final recorded performances, and provided the source audio for the three accompanying experimental pieces. Ahhh, it's a pleasure to hear more from Leah, always. The lack of continuity in the flow of the sound leaves a person wanting for harmony or should I say something that binds it together. Ideal for the right film clip but as a piece of music I find it wanting. Perhaps that is a reflection on the disjointedness in most human relationships. If the purpose of the piece was to reflect that, Well Done!